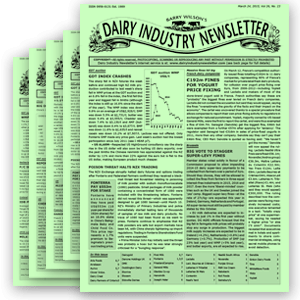 For more than 20 years, dairyindustrynewsletter.com and the fortnightly printed newsletter Barry Wilson’s Dairy Industry Newsletter, or DIN, have been the best sources of insider information on the international dairy industry. The newly-redesigned website features an updated, more comprehensive SEARCH function, which allows subscribers to find detailed information on individual companies, countries, etc, through use of keywords and tags. 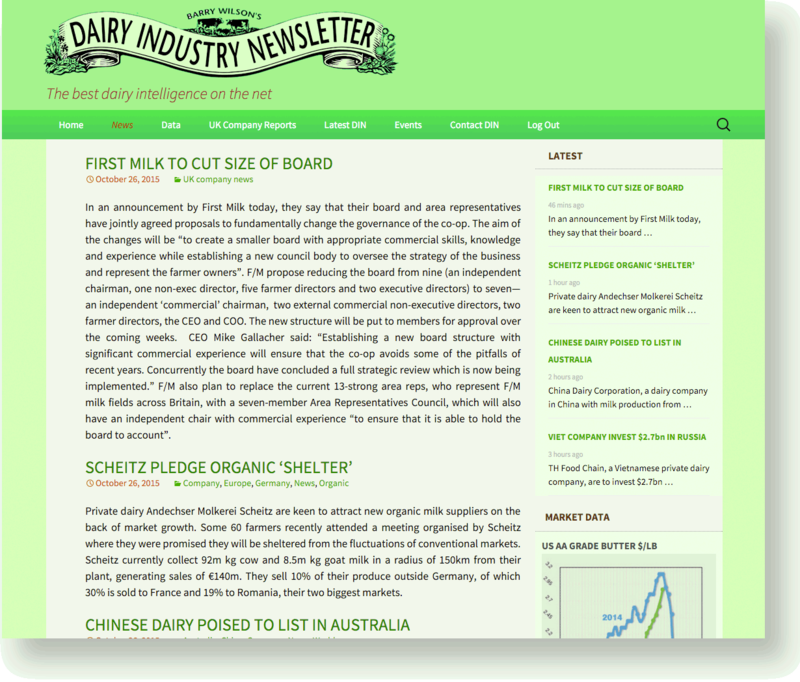 The much-visited NEWS page is divided into four sections (World, Europe, UK & Markets) and much more news is published on the website than is possible in the newsletter.